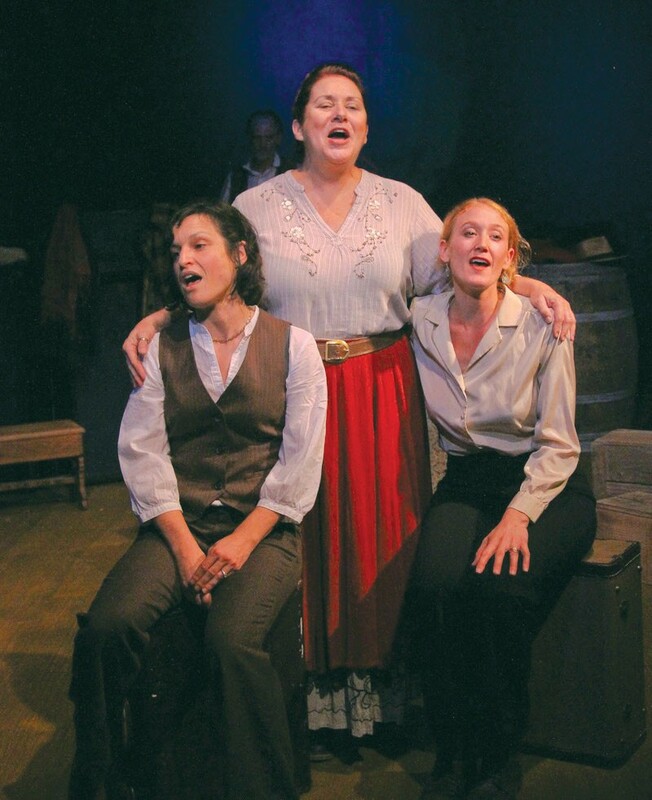 'Hope' runs Thursday–Sunday through Dec. 18 at Main Stage West. 104 N. Main St., Sebastopol. Thursday–Saturday, 8pm; 5pm matinee, Sunday. $15–$25. 707.823.0177. 'Hope. Do we ever give up on hope? Even in the face of hard evidence?" That's the question at the heart of Si Kahn's succinctly titled musical memory play Hope, a surprisingly innovative, if not always smooth, world premiere at Main Stage West. Kahn (Mother Jones in Heaven) is nationally renowned for his politically fueled folk songs and progressive activism. In his fourth Main Stage West collaboration with director Elizabeth Craven, Kahn mines his own family's past, using songs from his celebrated discography to augment tales he learned as a boy about his aunts and uncles, parents and grandparents. Theirs are stories of hope in the midst of unspeakable loss and sacrifice, one piece of the massive story of European immigration to America in the 1900s. In presenting Kahn's loosely connected stories, Craven and her troupe of four actor-singers and three versatile musicians have created something altogether unexpected. Kahn's first-person narrative has been spread out among cast members, each of whom tells bits of the author's family history. While ultimately effective, this approach takes a while to figure out, and leads to some initial befuddlement. In future productions, the script should probably allow all of the narrators to identify themselves early on as Si Kahn, so the audience doesn't have to spend the show's first 15 minutes wondering who all of those people are. That said, the stylized storytelling does yield some supremely satisfying fruit. The expert cast (Mary Gannon Graham, Sharia Pierce, John Craven, Alia Beeton) dig remarkably deep, working their way through tales of determination, love, resilience and grief, playing an array of characters: members of Kahn's family, Cossacks engaged in pogroms and even a hilarious Angel of Death ("Oy, what a day I've had!"). At such times, Hope resembles nothing so much as a Jewish-immigrant Hee Haw, the popular TV show that combined country music with sketch comedy. The main difference, of course, is that Hee Haw went solely for belly laughs, while Kahn's deeply personal assemblage of memories aims straight at the heart. The ensemble is first-rate, and under the musical direction of Jim Peterson, the songs are simply and precisely orchestrated for maximum emotional impact. Craven's gracefully energetic staging, though a bit uneven at times, is always strikingly novel and inventive. Despite its wobbly moments, much like a good folk song, Hope serves up its scraps of dreams and slivers of joy with quiet power and deep, wholehearted emotion.